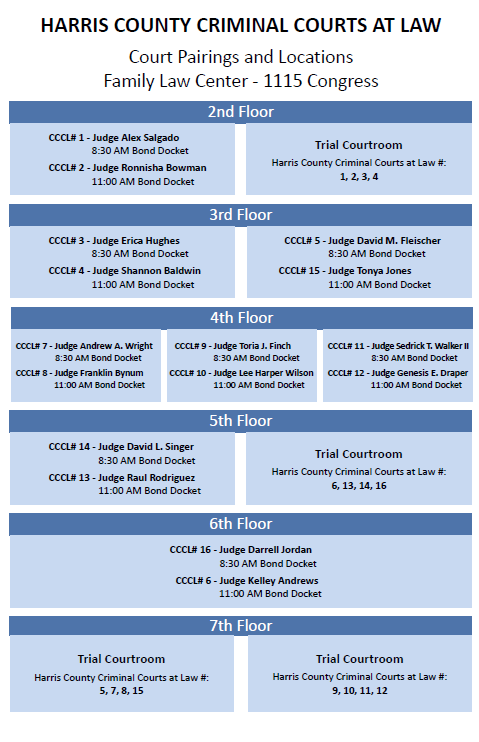 Due to the impact of Hurricane Harvey, bond dockets for the 16 County Criminal Courts at Law will be held at 8:30 AM and 11:00 AM at the Family Law Center (1115 Congress Avenue), while jail dockets will be held at 9:30 AM at 1201 Franklin Street. Please refer to the charts below for additional details. 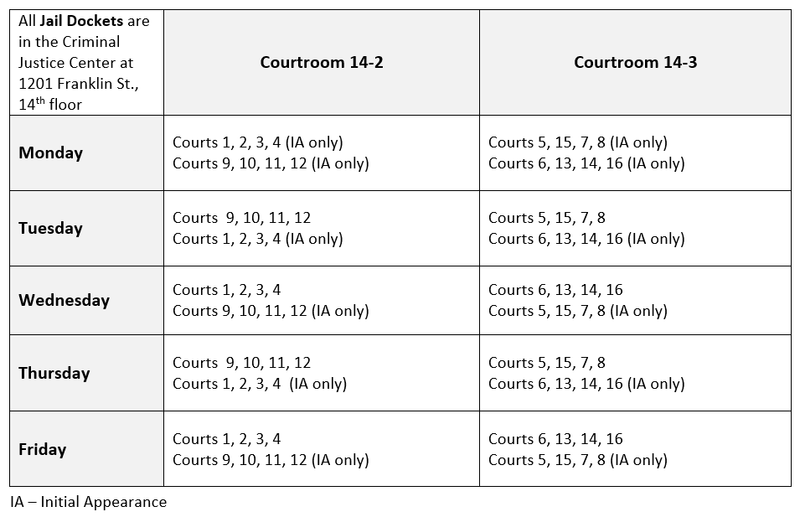 If you have a case set in district criminal (felony) or county criminal (Class A or B misdemeanor) court during the week of August 28, 2017: All cases originally scheduled for court appearances during the week of August 28, 2017, will automatically be rescheduled to appear in court exactly two weeks after the originally scheduled date and time. Attorneys may call the applicable court and request a different date if this presents a conflict. 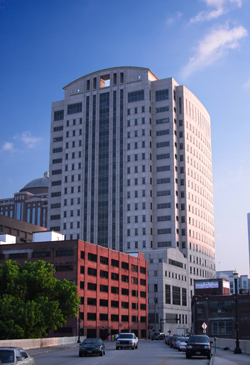 If you have a case set in another court listed above during the week of August 28, 2017: Please contact your court for a new date and time. Jury duty has been cancelled for this week as well. Jurors summoned for duty during the week of August 28, 2017, do not need to appear and do not need to reschedule.